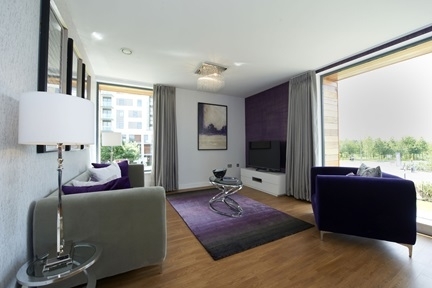 Dalston Curve is a key regeneration project in the London Borough of Hackney. 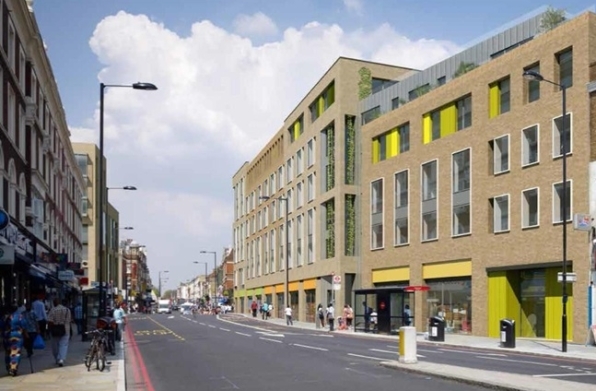 This high-quality scheme, comprising apartments and retail space, replaces buildings which were demolished by Transport for London (TfL) to make way for the East London Line in the heart of Dalston town centre. The demolition of buildings either side of Kingsland High Street in Dalston to facilitate the construction of the East London Line presented a unique opportunity to undertake a key component of the town centre’s regeneration programme. Taking shape on the two sites, Dalston Curve is creating an exciting new future for this brownfield site, with an apartment development which has a firm focus on design and sustainability, while also providing much-needed affordable homes and new ground-floor retail space. In addition to providing 106 new homes, our scheme is providing significant public realm improvements adjacent to both sites, including widened footways, a pedestrian-friendly shared surface in Ashwin Street, plus hard and soft landscaping. Additional funding is also being provided to improve existing open spaces in the local area. By redeveloping this brownfield land, we are creating a new and sustainable use for a previously developed-turned-vacant site, preventing it from becoming neglected and making a vital contribution towards the wider regeneration and future prosperity of Dalston. Dalston Curve has been designed with sustainability at its heart, with all apartments meeting the design standards set down in the London Housing Design Guide, following the Mayor of London’s Energy Hierarchy through the provision of a 25% reduction in CO2 emissions. In addition, every apartment meets Lifetime Homes standards, ensuring they are suitable for people at every stage of their life. Dalston Curve is a lower density scheme than is common in urban London, with reduced building heights and the use of high-quality materials and features. The limiting of the northern site to seven storeys has resulted in improvement to daylight/sunlight on neighbouring properties. Zinc cladding to upper levels and the use of enhanced and more expensive materials at ground level, including smooth reconstituted stone, provide the buildings with a high-quality appearance which is continued inside. 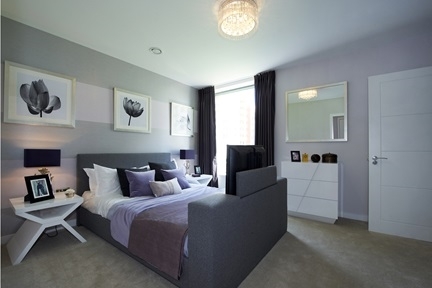 Residents benefit from high-specification apartments boasting floor-to-ceiling windows, with many plots providing access to private balconies.